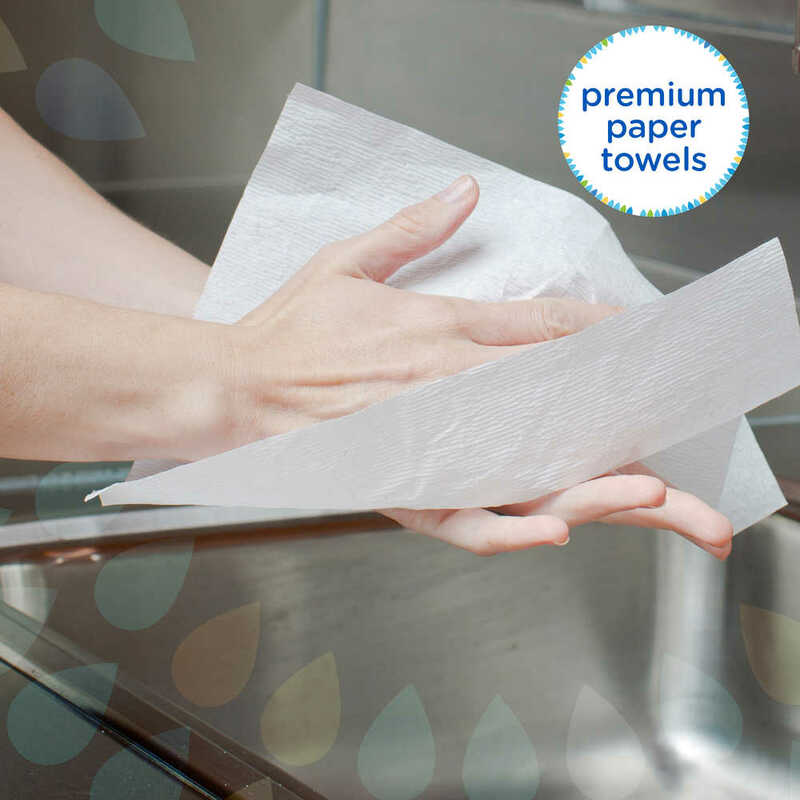 Make wasted paper towels a thing of the past with premium Kleenex Premium Folded Paper Towels. Their unique fold is designed for true one-at-a-time dispensing, every time. 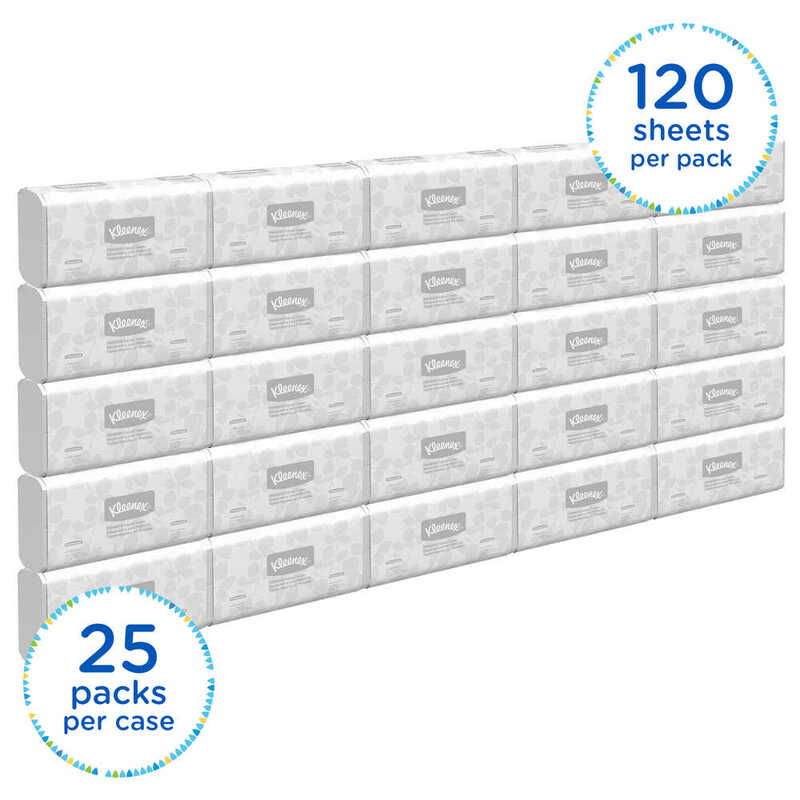 They reduce tabbing, tearing and multiple dispensing, which results in less waste – always good for your business’ bottom line. 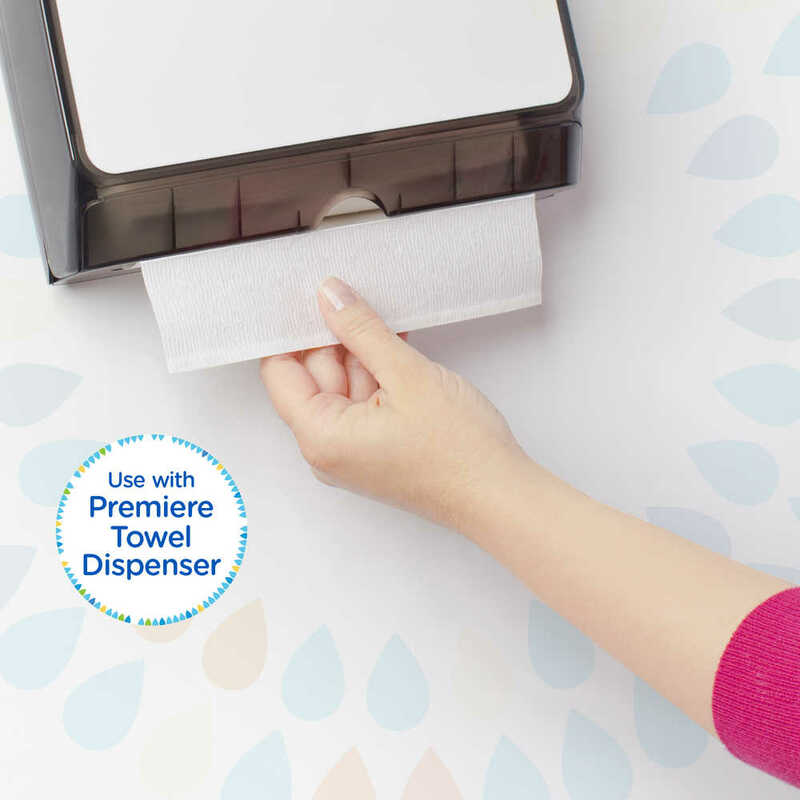 Plus, they unfold as they dispense, so your guests will know they’re big enough to get the drying job done – with just one commercial paper towel. 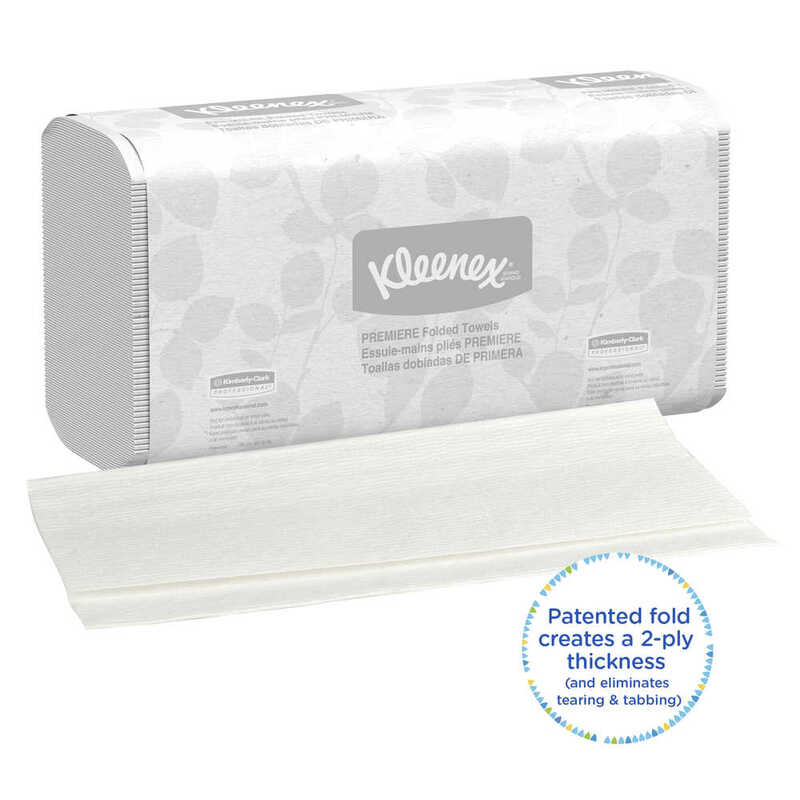 Kleenex Premium Folded Bulk Paper Towels feature superior Absorbency Pockets with fast-drying ridges for excellent absorbency and performance. These smartly designed paper towels fit with most universal folded towel dispensers. 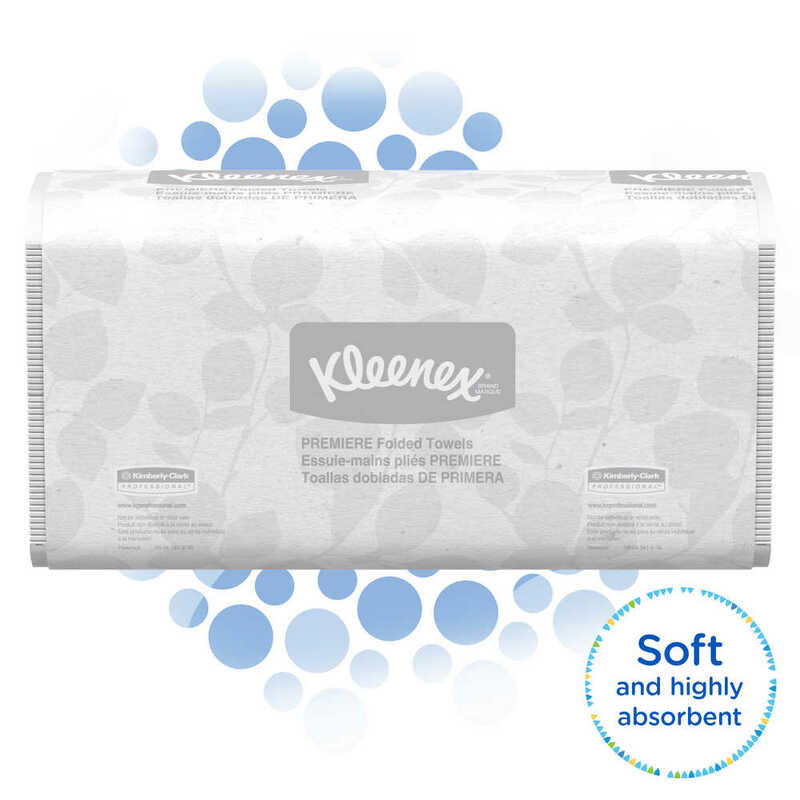 They are an excellent value, with a guarantee to be cost neutral (versus C-fold towels). 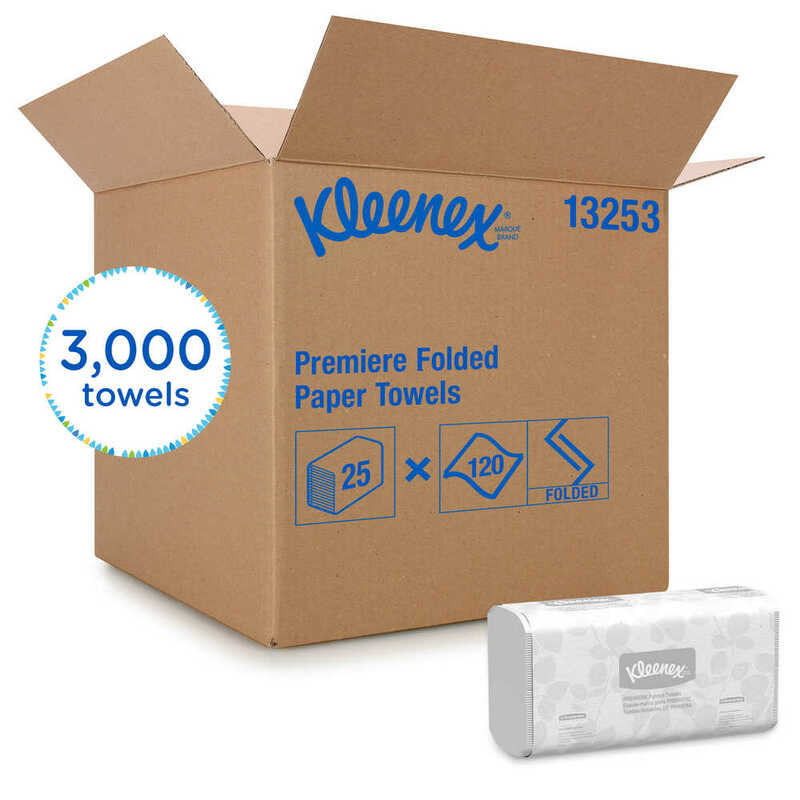 Kleenex® Premium folded towels are a smart, first-class choice for your business!